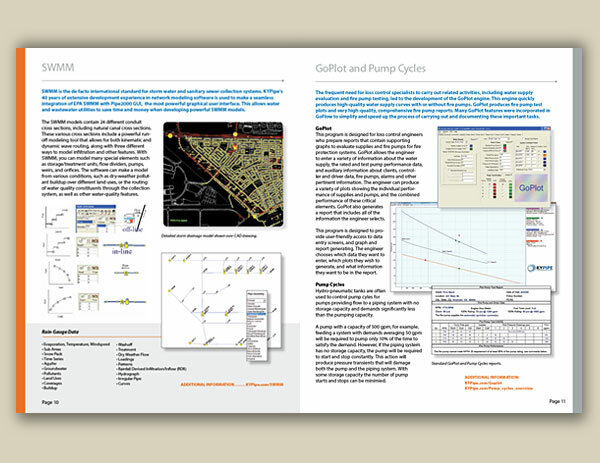 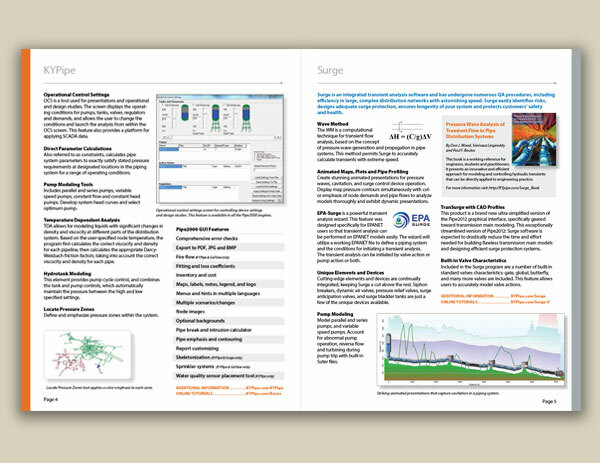 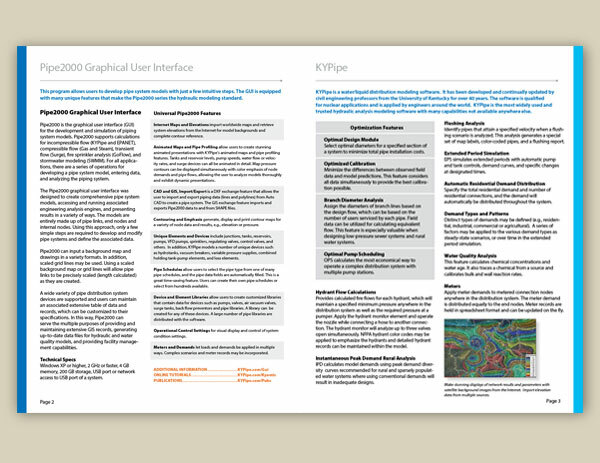 KYPipe requested a comprehensive catalog design for their pipe network analysis software products to hand out at trade shows. 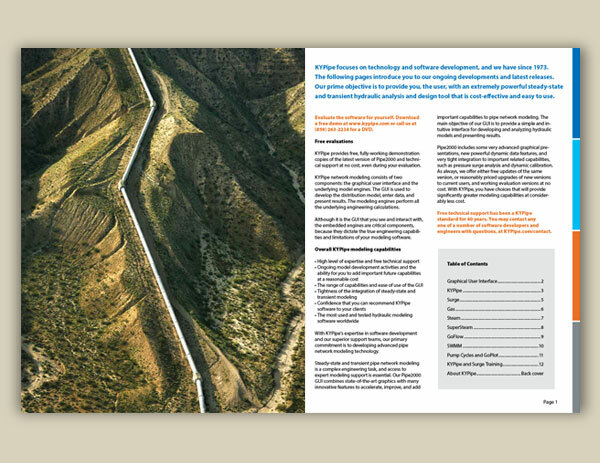 They had been using cost-efficient single page flyers created in-house for promotion, but they felt the time had come to create a catalog that encompassed all their products and conveyed a more professional image. 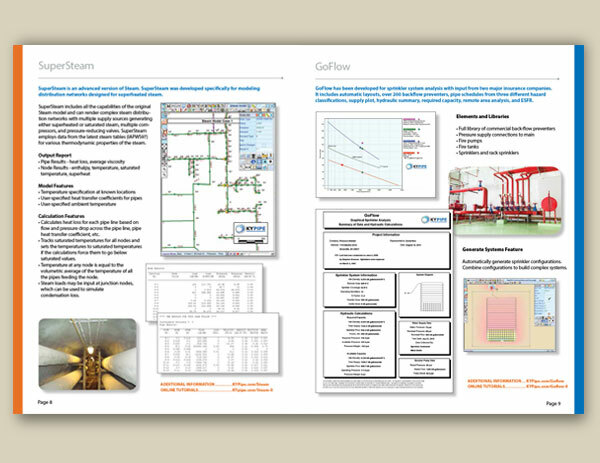 The biggest challenge of this job for the Arion Group was organizing and formatting a large amount of technical information on every page in a visually pleasing way. 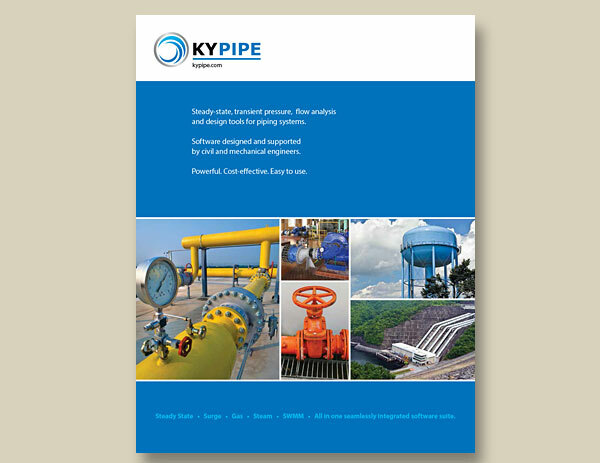 KYPipe was happy with the way the catalog turned out and eagerly shared it at their trade shows. 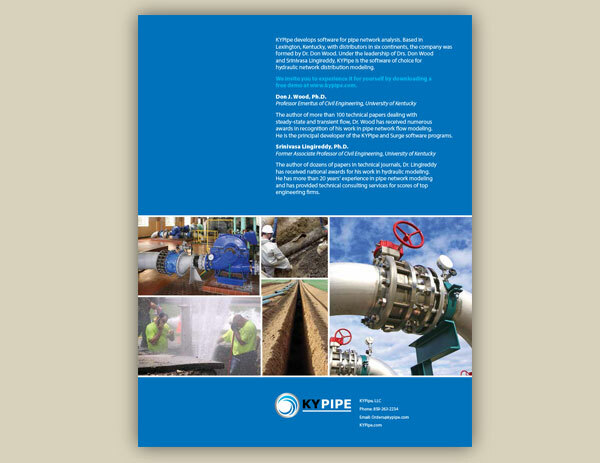 The final piece was the result of a year-long collaboration between the Arion Group and KYPipe. 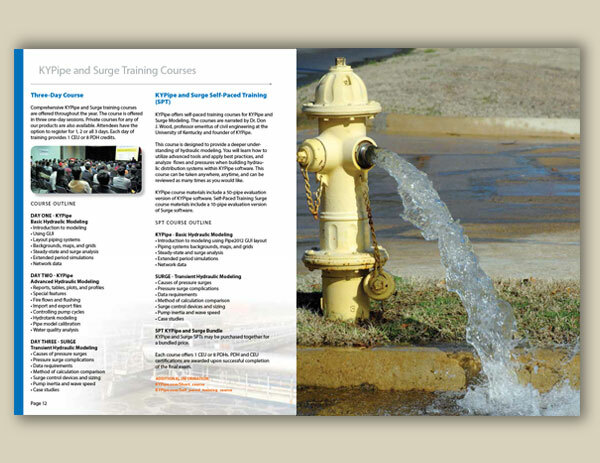 To view the inside pages of the brochure, please see the slide show below. 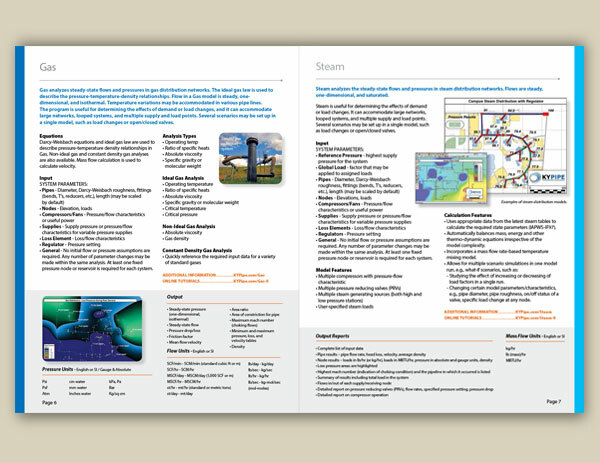 For help with your next catalog design, contact us today.